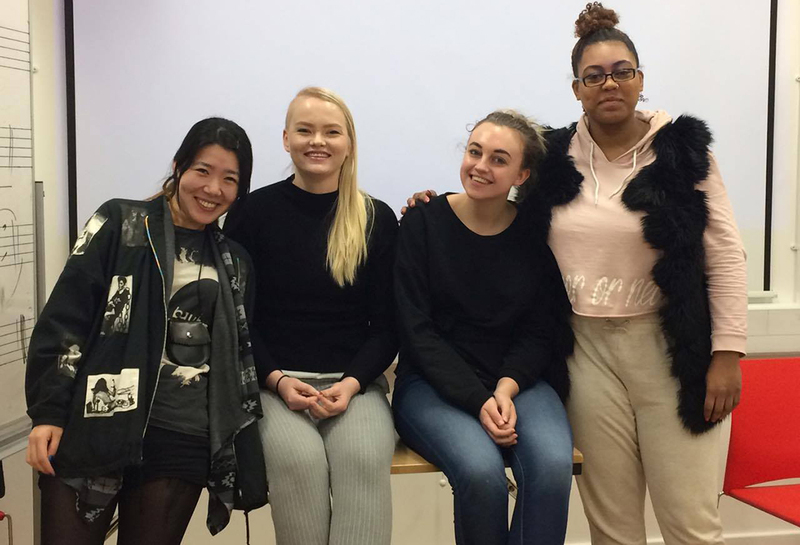 A group of second-year Middlesex University BA Music Business and Arts Management students will host a music therapy event for the elderly on 23 and 24 March. Yukiko Koiwai, Tuba Bakken, Molly Howe, Nicole Smalling and Kinga Sobczynska, will hold a 1950s and 1960s music performance, featuring pop, Rock'n'Roll and Jazz, at Roseacres care home in Whetstone and Mary Fielding Guild care home in Highgate, London. “We believe passionately in the psychological health benefits which music can provide,” says Yukiko Koiwai. The event is a product of KYNTM Event Management, a not-for-profit music event organisation dedicated to running music events for the elderly set up by music business students. “For one of our course modules, Live Music Industry, we were tasked with putting on an event which will benefit the local community. This is how KYNTM Event Management was born,” Yukiko explains. The group are hoping to raise £500 through crowdfunding which will go towards key components such as decorations, catering and artists’ expenses as well as a photographer so residents can keep a memento from the performance. Any additional funds will be used to buy new books and DVDs for the library at the care homes. For more information and to contribute to the crowdfunding campaign please visit the campaign page.